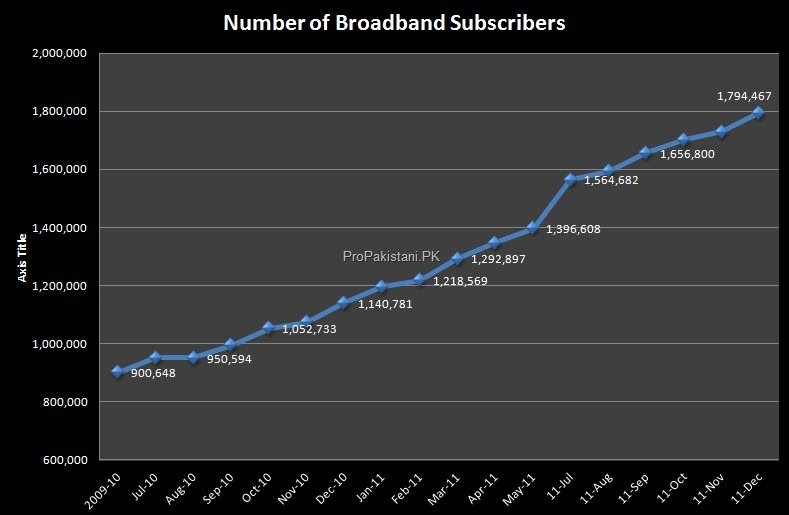 According to latest stats issued by Pakistan Telecommunication Authority, number of broadband subscribers in Pakistan reached 1.79 million till December 2011, adding some 65,000 subscribers in the month. The number of DSL subscribers rose to 792,397, while the number of WiMAX internet users grew to 495,285. EV-DO customers were 459,790 till December while another 37,491 people used HFC to access the internet. 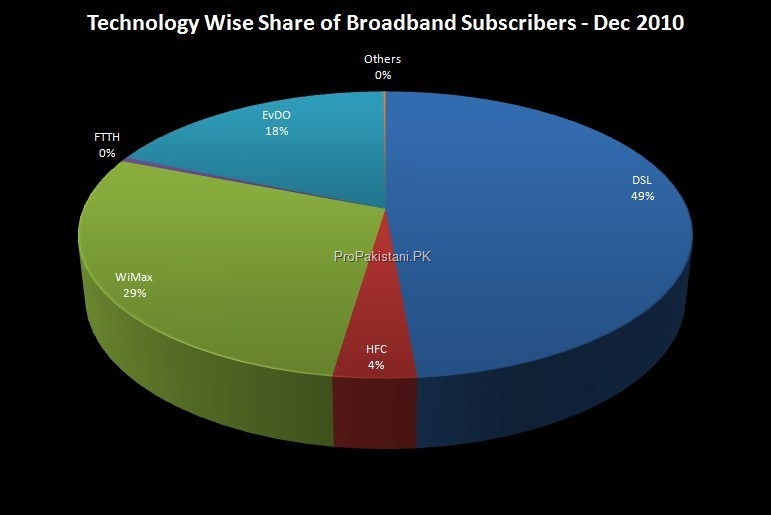 7,215 users were recorded as FTTH subscribers in December. 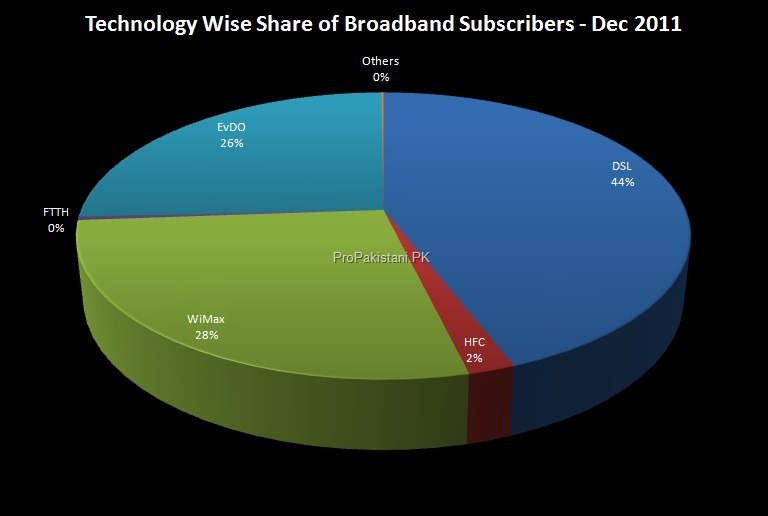 The Rapid Growth of IT in Pakistan will lead Pakistan in next 5 year on top.Technology adopt phenomena has been emerged in Pakistan market which is good sign and i hope that will create more technical jobs in the future ,we need to connect remote areas of Pakistan as well because without their contribution we don’t make progress. i doubt that. the “rapid growth” will slow down and it will be “incomplete” all thanks upcoming centralized censorship of internet just like saudi arabia. 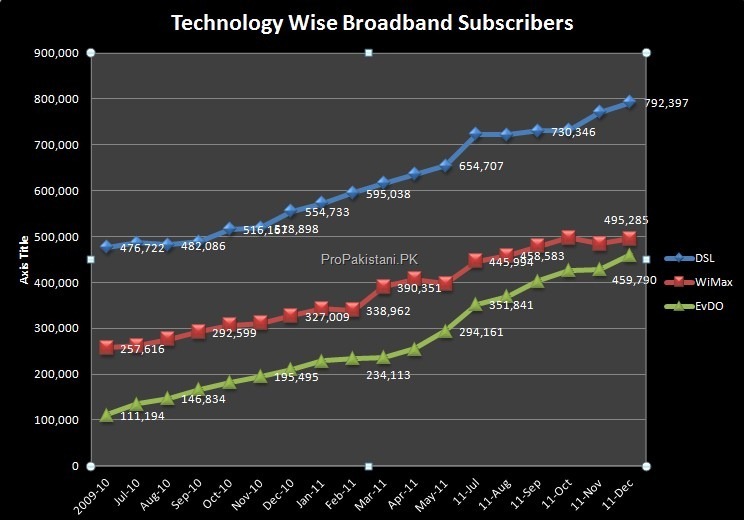 Mobile phone and broadband fastest growing technology service in pakistan..
please note this huge fraud by lesco. I used 108 units of electricity in feb and lesco billed me around 2600 rs. My neighbours who used 138 units got around 1000 rs bill. I checked the bill in detail their is fuel adjustment charges of rs 1900. I was shocked. No other consumer in my neighbour received this fuel adjustment. Please beaware from this lesco fraud.. Please pro pakistani take notice on this and write a post on this. Can someone please let me know which is the best broadband connection to get?? I already have a wi-tribe connection but its the most horrible connection ever! please help!